Costume History German Officer World War II. 1940. World War II. 1940. 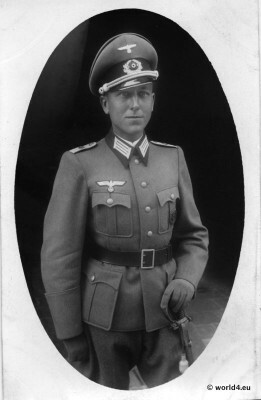 Uniform of German Soldier, Officer in uniform with dagger. Wehrmacht costume. Dahohman Army. An Amazon. 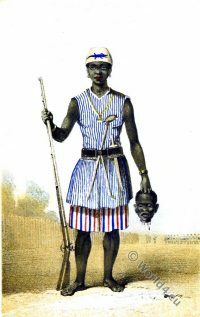 Benin Africa 19th. c.
Landsquenets soldiers. 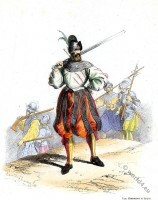 16th century military. Medieval Battle scene at Sempach Switzerland. Guard of the king. The Corps of the 200 Gentlemen. Harold II. Last Anglo-Saxon king of England. 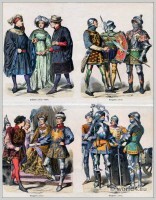 Armed Burgundian knights in armor in 1470. Ordre Royal et Militaire de Saint-Louis. 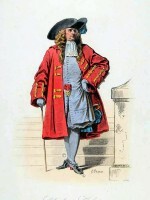 Rege de Louis XIV 1706. Abbotsford; the personal relics and antiquarian treasures of Sir Walter Scott. This entry was posted in 20th Century, 40s, Germany, Hat, Military and tagged German Military Costume on 5/28/13 by world4.